In this article we explain all you need to know about the Paddy Power VIPP Rewards Club promotion including a step-by-step guide on how to qualify for the offer as well as the key terms you should now about. 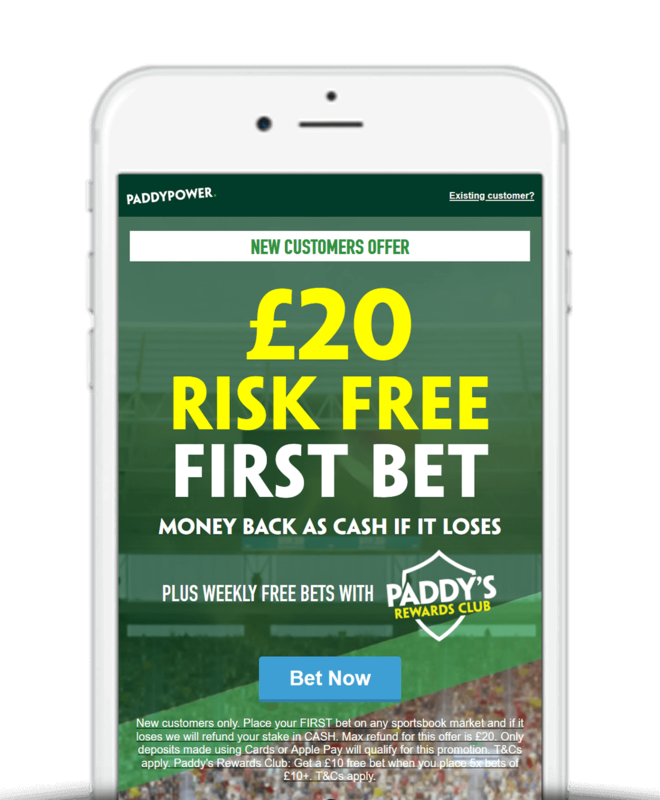 Paddy Power’s VIPP Rewards club was launched back in May 2017 and is now one of many loyalty offers aimed at existing customers. However, it has come a long way since then with a number of changes and improvements. What Is The Paddy Power VIPP Rewards Club? Simply Opt In and place 5 bets of £10 or more at odds of 1/2 (1.5) or greater on Sports or Virtuals and after your 5th qualifying bet a £10 free bet will be credited to your account the following Monday. The offer applies to all sports and markets and includes both single and multiple bets. VIPP Rewards Club is open to new and existing customers. For those without an account then Paddy Power’s £20 free bet offer is the perfect excuse to join (outlined below) or you can view a full list of Paddy Power bonus codes available. Firstly, click here to head to the Paddy Power VIPP Rewards Club landing page. Place 5 bets of £10 or more between Monday and Sunday each week. Paddy Power will then credit you with a £10 free bet the following Monday. Odds of 1/5 (1.2) or greater. Cashed in or partially cashed in bets do not qualify. Free bets credited by 12PM every Monday. In summary, being able to earn a £10 free bet each week by placing bets that you may have done regardless is what makes the Paddy Power VIPP Rewards Club so appealing. It must be said however, there are other similar initiatives out there with lower wagering requirements. You can view a full list of existing customer free bet offers to see which one best suits you.